The answer depends on several factors; your home, your situation, and your ability. Real estate transactions are complicated. Read on to decide what to do. Reader Question: We are considering selling our home without an agent. We have done this in the past and were satisfied with the outcome. We used a lawyer to handle the closing and paid a much lower fee compared to an agent’s fee. Do you think individuals can do this successfully? Some sellers may have limited access to the market, but lack understand in utilizing the information for their benefit. The law of supply and demand, the competition, and understanding how to identify and judge the best comparable sales are critical pricing factors. Then, bringing the parties together takes skilled negotiation. I have seen home sellers sell by owner (FSBO) and give the commission they “saved” to the buyer. They took all the risk but sold for what they would have netted using an agent. I have also seen sellers and buyers earn the commission with their skill, knowledge, and emotional restraint. My experience suggests those individuals are rare. Most of us are rarely in the market and cannot learn enough to take advantage of how the industry works. Many of the home sellers and buyers that start down the FSBO path end up utilizing an agent for some or all of the work. While the real estate brokerage industry has numerous flaws, I believe the current system is the best method yet devised to bring the best buyers and sellers together. According to the National Association of Realtors (NAR), more than 90 percent of consumers choose an agent rather than trying to buy or sell on their own. Consumers apparently believe that avoiding an agent can be riskier, more time-consuming, and may not save money. For example, a homebuyer searches online or drives neighborhoods seeking “ for sale by owner ” (FSBO) homes and makes appointments to view them when they find qualifying homes. They will look until they pick one they want to buy. They hire a lawyer to draft a contract and often make a low offer because they believe this is how to start a negotiation. Why would they do this? The most common reason is to save money eliminating the agent. They have chosen to forego shopping with real estate agents where the bulk of the listed homes are with real estate companies. Now think about the FSBO seller in this scenario. 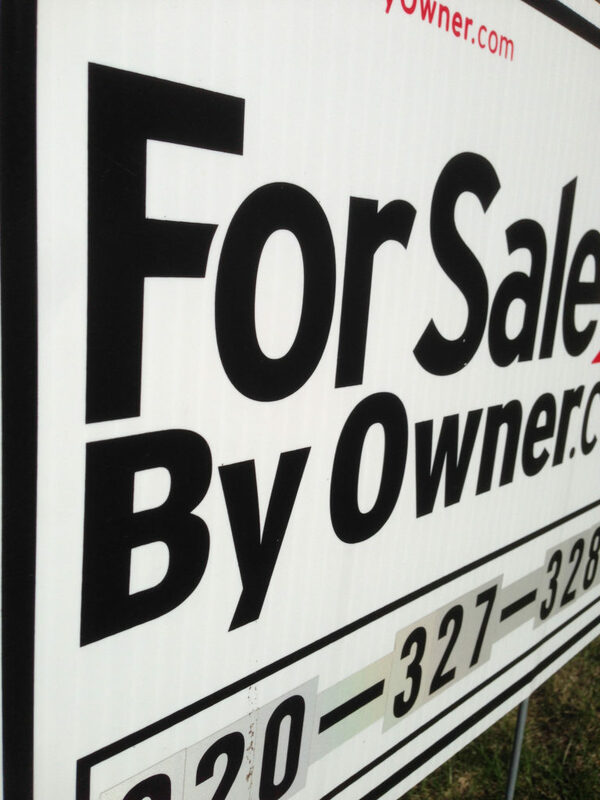 They placed a “for sale” sign in the front yard, advertised in FSBO magazines and online FSBO websites, and excluded the majority of home buyers looking in the MLS. Saving the commission is the seller’s goal as well. Unfortunately, they both cannot keep it. Both the buyer and seller are limiting their market, which is contrary to the law of supply and demand. The irony here is that even if they ultimately negotiate and close the sale, it is unlikely either party will know they saved money. Some home sellers and buyers incorrectly focus on the amount of the commission when they buy and sell houses. The significant savings for a home comes with an objective understanding of the range of value of the home they want to sell or to buy. It is not hard to learn how to apply specific appraisal techniques to understand the worth of a house. The second significant savings comes by identifying an excellent real estate agent, and knowing how to take advantage of their tools and their knowledge. Learning how to identify suitable agents is not easy to do, because marginal agents mimic the best agents in delivering a presentation, but cannot perform in the execution department. Learning how to test multiple agents for competency and then choosing the agent that best fits your circumstances is the final step in agent selection.